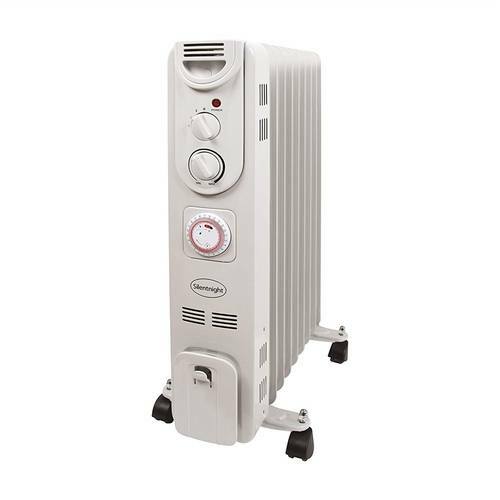 This 2Kw free standing 9 Fin Oil Filled Radiator has four wheels easy movement and extra portability and heats up quickly so can get the room warm as soon as you need it to be. There are three heat settings so that you can adjust it as you need it and also this model comes with a fitted timer so that you can set when the heater comes on to ensure you have heat just when you need it. Oil Heaters transfer heat into a room by heating the oil inside the radiator.